BelarusDigest > Social > Lukashenka wants to double Belarus population: will that work? On 3 August 2017, Belarusian president Lukashenka announced that Belarus could easily sustain a population of 20 million people, noting that human capital was the key to the economic security of the country. Yet the numbers tell a different story – since 1994, when Lukashenka became president, Belarus has lost over 700.000 people. In the recent years, the population stabilised at 9.5 million, while working age population continued to decrease. The state offers a number of financial benefits and incentives to families raising children, yet overall it fails to guarantee adequate quality of life for all Belarusians. A recent witchhunt against so-called social parasites revealed that Belarusian economy faces major challenges of providing social protection, ensuring sustainable development, and overcoming poverty. Since the end of the Second World War in 1945, Belarusian population has been growing, peaking in 1993 with 10.2 million people. The trend reversed in 1994, as the economic situation deteriorated and Belarus faced the problems of depopulation and rapid ageing, similarly to other European countries. Only by 2010, the population stabilised at 9.5 million people. However, the birth rates in Belarus still lie below the death rates, with 13 deaths and 9 births for every 1000 persons. In the past year, the highest birth rates, according to Belstat, were registered only among younger women from rural areas: 256 children per 1000 women. According to BEROC experts, childcare benefits often inhibit the economic activity of the rural population. Allowance for one child exceeds the living wage, discouraging people from seeking employment. Younger women prefer giving more births for the sake of benefit payments, neglecting their own education and professional development. What remains in the background, is the quality of life of children from the low-income families, who have limited opportunities to receive education and compete for better jobs. These children are more likely to fall in the same poverty trap as their parents. Thus, rural regions remain marginalised and less developed. Belstat data also shows that 75 per cent of the Belarusian population live in cities. In 2016, birth rates for the urban areas were considerably lower than those in the countryside, making up only 68 children per 1000 women. Which numbers are really important? The issue of falling population numbers has been bothering Belarusian president for a number of years now. In his recent statement on demography, he repeated a thesis of 20 million Belarusians, demanding from the officials on all levels to prioritise raising birth rates and create more employment opportunities. However, population numbers alone do not guarantee economic prosperity of the country. The UN Human Development Index (HDI), based on the quality of life, education, and decent standards of living criteria, ranks Belarus at 52nd place. Countries with comparable population numbers, such as Switzerland, Sweden or Austria rank as 2nd, 14th and 24th respectively. To predict possible demographic developments and their economic effect, one has to look at the number of the working age population. According to Belstat, even though the total population remained stable at around 9.5 million since 2010, the number of working age persons has been steadily decreasing: from 5.8 million to 5.4 million. At the start of 2017, for every 1000 persons, 443 were older than the working age limits. The ageing of the population concerns the government as it has to keep social system afloat. So far, Belarus has initiated the pension reform and launched a demographic safety program, supporting families with children. In the long term, the plan to double the population numbers aims to sustain current social model. However, the recent controversy over the “social parasites” law showed that for this end the government is also willing to establish stricter control over the activities of all working age Belarusians. The new version of the suspended “social parasites” law is due by October 2017. Recently, the Ministry of Labour and Social Protection has also announced replacement of the current social security number by a new ID card. This ID card would be connected to the centralised information system, able to track the work activities of every citizen. Thus, the government hopes to force all working Belarusians to pay for the social services, especially if they work unofficially and evade paying taxes. However, from another point of view, as political analyst Valer Karbalevich noted, these straightforward measures seem as the attempt of the state to “enserf” all working age population. They are not likely to have a positive impact on the desire of people to have more children and are useless against the out-migration trends. Younger educated groups of Belarusians go abroad in search of education and work opportunities. Others prepare possible options for the future: recently Belarusian media reported that about 50 per cent of all issued Pole’s Cards – over 100.000 – belong to Belarusian citizens. Should Lukashenka’s scenario of 20 million Belarusians come true, Belarus might face different challenges. Independent economic expert Mihail Zaleski advises against rapid increase of population numbers, warning that current social system capacities would allow to provide for 6 million at best. Moreover, population growth would place Belarusian ecology and agriculture under more strain. Experts point out the dangers of existing consumerist approaches to the nature. According to Lana Semenas, who coordinates the organic farming initiative Ahrakultura, Belarus would have enough potential to produce enough food for 20 million people only if it switches to sustainable farming methods. In particular, this applies to the large-scale enterprises in the livestock farming sector. Belarusian demographic problems have a lot in common with other European states, which struggle with the aging of the population and low birth rates. 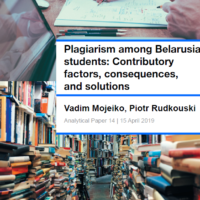 However, Belarusian approach to these issues appears superficial, as the government tends to evaluate the human capital in a quantitative way, luring countryside dwellers into the poverty trap and neglecting brain drain and migration trends. In order to stabilise the demographic situation, Belarusian government needs to abandon repressive methods, liberalise business activities, aim to breach the rift between the cities and the countryside, and invest in education initiatives to ensure the quality of the human capital. On 21 July, residents of the Minsk district of Asmalouka finally succeeded in halting the planned demolition of their neighbourhood. Since 2014, the authorities have been planning to tear down a historic district of Minsk. However, local residents and activists started a campaign to prevent the demolition and were able to temporarily freeze the process. Every now and then, by making concessions to protest-minded citizens, the state gives the impression that it is willing to compromise, creating an illusion that the government listens to the people. Local initiatives addressing economic or cultural problems especially are more likely to receive a green light from the authorities. 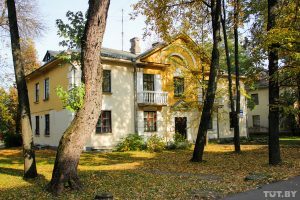 Many consider the Minsk district of Asmalouka to be unique and historic. The area was built from 1940-50 for the Belarusian military elite. Asmalouka is a place with unique architecture, replete with stately two-storey houses. Discussion of demolishing Asmalouka began in 2014. The authorities proposed tearing down the houses to construct new buildings in their place. However, the process was postponed due to lack of funds from investors. In 2017, the question was mooted again and the local authorities raised the issue of Asmalouka for public discussion. The authorities’ position triggered residents to protest the reconstruction plan. In addition to talks with the authorities, citizens created a petition and sent it to the Administration of the Central district of Minsk. To date, more than 7,000 people have signed the petition. Interestingly enough, there is also a rival petition to reconstruct Asmalouka. 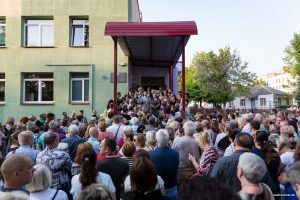 In mid-July, residents of Asmalouka and other districts of Minsk gathered to discuss their next steps in the struggle against the reconstruction project. In addition to petitions, residents managed to collect more than 8,000 signatures during meetings. The purpose of the latest meeting was to nominate representatives of the Asmalouka district to participate in discussions about reconstruction. 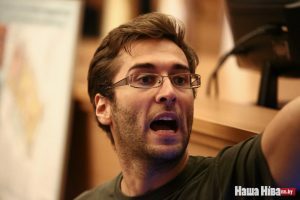 Belarusian blogger Anatoly Matolka became one of the participants of the Asmalouka protection campaign, even managing to secure a meeting with representatives of the government. As a result, the authorities stated that the demolition Asmalouka was still only under consideration. The campaign still seeks to secure historical-cultural status for the neighbourhood. For now, the reconstruction of Asmalouka has been suspended. However, local residents and activists consider the results of their campaigns a success. A similar story took place in 2014, when the government presented a plan to build a road through Sevastopol Park. Residents of the area appealed to various authorities to reverse the government’s decision and save the park. As a result, the authorities revised the decision and left the park untouched. On 14 August, residents of Minsk started a petition to create a ‘park named after the first president of the Republic of Belarus’. This unusual idea emerged when the authorities proposed constructing high-rise buildings in a green space. 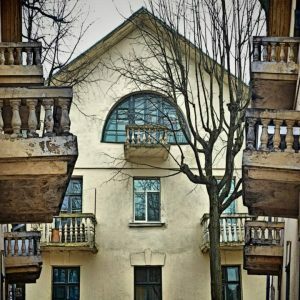 Today, locals are struggling with another large-scale construction project, involving more than 50 buildings in the area of Partyzanski Avenue. A public hearing on 16 August, organized by local authorities, broke down due to lack of space for all the participants. Such incidents remain relatively common. However, the authorities and investors still have the final word, especially when it comes to economically important large-scale projects. For example, the public hearing on the construction of the nuclear power plant did not get very far. The scale of the project made listening to the public unfeasible for the authorities. As a result, they covered up accidents, including the death of several workers. Public hearings were also unable to stop the construction of the Belarusian-Chinese industrial park. According to activists, the park has a strongly negative environmental impact. Despite the active participation of the environmental NGOs Ecadom and Green Network, the Council of Ministers approved the construction project. When do the authorities compromise? Belarusian protestors enjoy only limited success when it comes to pressing socio-economic problems. Protests against the social-parasite decree have shown that the Belarusian authorities still do not hesitate to employ repressive measures against vocal citizens. Anarchist groups, journalists, and students all fell victim to suppression when protests against the so-called decree number three were dispersed. It seems that the authorities are willing to compromise when campaigns pose little threat to the regime. Thus, protesting construction projects has recently become a form of civic participation. Here, the authorities seem to be willing to meet protestors halfway. However, this is certainly not the case for large-scale and economically important projects such as the Belarusian NPP. Asmalouka is an encouraging example of a local advocacy campaign. However, it still remains rare for the authorities make concessions to public initiatives in Belarus. Large-scale public campaigns often involve the participation of political and social activists: the regime perceives such campaigns as a threat to stability and their power.